Alli Simpson’s Got Love On The Brain…Love Songs That Is! Find Out Her Top 5 With Disney Playlist! “All you need is love, love…Love is all you need”… Okay, we’ll stop singing now! But love is the topic of the day right now! At least right now. In honor of Valentine’s week, Alli Simpson of Radio Disney’s The Alli Simpson Show, shared her top five favorite classic love songs with Disney Playlist! Wanna know what they are? You can find out by heading to her guest blog HERE! While you’re at it, let US know what your favorite love songs are! 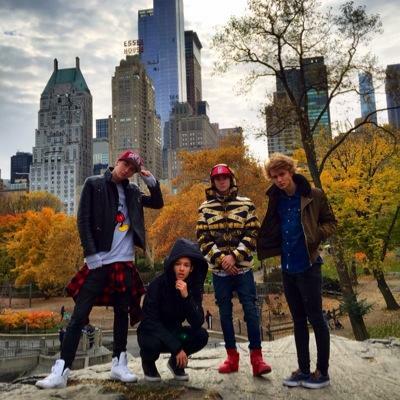 PREVIEW: The Fooo Conspiracy Premieres “Roller Coaster” Music Video With Radio Disney TOMORROW! Tomorrow, February 17th, music group, The Fooo Conspiracy, will be exclusively premiering their hit new music video “Roller Coaster” with Radio Disney! That’s not all! Guess who also stars in the music video? Done guessing? The awesome Alli Simpson from Radio Disney’s The Alli Simpson Show appears in the music video! So, make sure you look on RadioDisney.com or the Radio Disney app to check out the full featured video! For now, check out the awesome preview Radio Disney shared on their Instagram below! 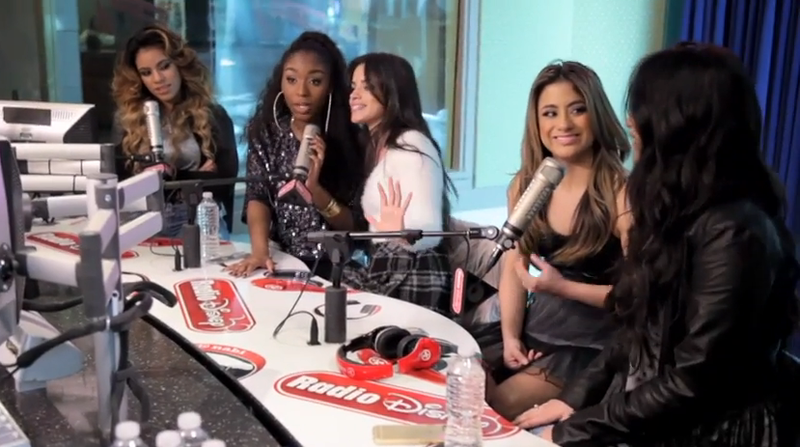 VIDEO: Fifth Harmony Dishes On Celeb Crushes & Australian Accents With Alli Simpson! A new show has emerged on Radio Disney called The Alli Simpson Show, where every Friday, Alli Simpson gets to meet and interview our favorite stars! One of her recent guests welcomed was the fearsome fivesome known as Fifth Harmony! Starting off the interview, the girls are asked by Alli to give the scoop on their celebrity crushes! Shortly after, after the girls are enamored by Alli’s Australian accent, they get a chance to try it for themselves! Check out the video with Fifth Harmony and Alli Simpson below! Tell us who your celebrity crush is! Tune Into The Alli Simpson Show Tonight…. Be sure to tune into The Alli Simpson show tonight, January 30th. Last week on Alli’s radio show with Radio Disney she chatted with the lovely ladies of Fifth Harmony and now this week she will be chatting with Shawn Mendes. 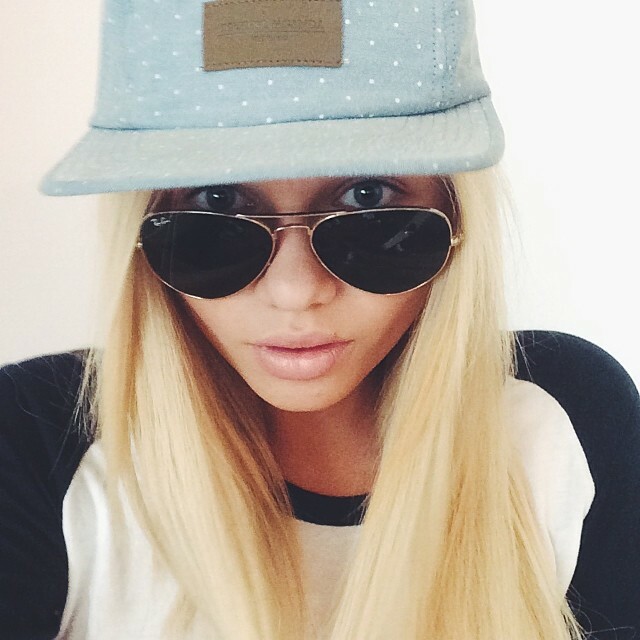 What Stylish Clothes & Accessories Is On Alli Simpson’s Winter Wish List? Find Out! B-r-rrr!! The winter weather continues to be upon us, but you won’t allow a bit of a winter chill hold you back from leaving your house, right? Especially when you can do it in style? Alli Simpson, of Radio Disney’s The Alli Simpson Show, definitely doesn’t let the cold stop her and she can does with a smile and a fantastic style! Wanna know what’s on Alli Simpson’s Winter Wish list this year? Check out what she’s loving as she shares her cool fashion wants with Disney Style! I know I purchased my eyelashes from here and am looking forward to her next accessory picks! Check out this week’s blog right HERE! What Are Alli Simpson’s Top 8 Songs She Can’t Get Enough Of? There’s always going to be those special songs you can’t help but listen on repeat over and over again, right? Well, Alli Simpson‘s the same way! The “Guilty” singer shared a list of her top eight favorite hits that she can’t get enough of with Disney Playlist that includes “Sledgehammer” by Fifth Harmony and “Somebody To You” by The Vamps! Check out her playlist on her blog with Disney Playlist HERE! Hey! Tell us what your top 8 fave singles are! VIDEO: Who Wins The “Selfie Standoff”: Alli Simpson Or Cody Simpson? You Judge! It’s a “Selfie Standoff” at Radio Disney with the lovely Alli Simpson versus her singing sensation brother, Cody Simpson! During Alli’s first radio show with Radio Disney, the two decided to standoff against one another to see which one of the siblings does a better selfie. The idea is to keep going until one of them runs out of ideas! Who wins? You be the judge of that! Check out the fun video below as we get to see Cody and Alli in new selfie ways!